Read 5 Questions with Colleen Kachmann in Fort Wayne Business People. Colleen Kachmann is a Fort Wayne native, proponent of healthy living, mom of four and now she can add author to her growing list of roles. She earned her B.S. in Biology and Chemistry Education from Indiana University. After teaching for five years at a local high school, she decided to stay home with her four children. She worked part time as a wellness instructor in yoga, group exercise and personal training for the next fifteen years. Her writing career began in 2010 with a blog called Waking Up Vegan, which evolved into a book, Life Off the Label. 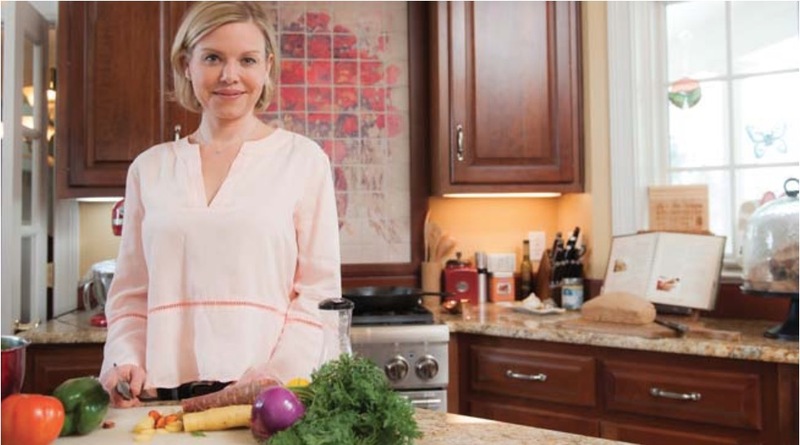 She is also certified as an Integrative Nutrition Health Coach. Q1: What inspired you to write a book? 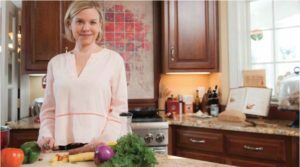 Transitioning to a vegan diet while parenting four children taught me that there are no right answers. A sense of humor and an open mind are key. The physical and social impact of our food and lifestyle choices can’t be managed with a rigid set of rules. I wanted to be healthy and happy—not rigid and “right.” As I peeled back the vegan and perfect-parent labels, I found beauty in the contradictions and complications. Once I embraced them and stopped fighting, Life Off the Label was born. Q2: Can you tell us about the book? What should readers expect? The premise of the book is that it’s not normal to be healthy anymore. We’ve been taught there is better living through chemistry, and that health and happiness are conveniently sold in products, pills and pastimes. I bought into these notions for years, so the book is filled with funny stories of my own misadventures and the scientific reasons it’s so easy to go wrong. Life Off the Label details my efforts to live and be well, only to discover that I wasn’t and I am not alone. Seventy percent of Americans are overweight and take at least one medication. I did not want to be a statistic, so I deconstructed the habits and beliefs that limited my potential. What I discovered changed my life and I hope it can change my readers’ lives too. Q3: There are many weight loss/healthy lifestyle books on the market. Normal life in our culture is stressful and exhausting. 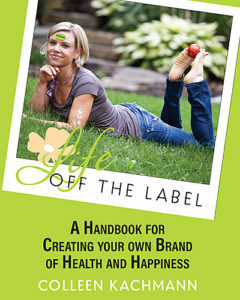 Life Off the Label explores the reasons we feel so depleted of energy, money, and time. It does not offer a quick fix. Examining the foods, products, and beliefs that are trapping us is the key to freedom. Life Off the Label is the path to freedom—freedom from ignorance, brainwashing and misleading marketing. This lifestyle does not demand more time, money or energy, rather it returns them. Q4: What advice would you give to others looking to improve their health? A high-quality life isn’t fueled by low-quality food and sleep or stress. If life really is about the journey, then we have to stop running in circles. Most of us are aware of the bad habits that lead to disorders and disease. What each of us must discover are the healthy habits that lead to happiness. Q5: What do you like to do in your spare time? I spend a lot of time with my family. Our gathering place is the kitchen, where we prepare meals, laugh about life, share stories, songs and videos, and plan new adventures. For more information, visit Colleen’s website, lifeoffthelabel.com. Here you will find recipes, a blog full of lifestyle advice, a self-assessment quiz, and more.